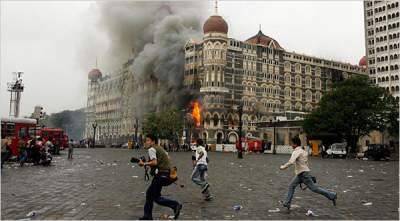 Mumbai has been rocked again this time with serial bomb blasts. Reportedly three explosions have taken place on Wednesday 13th July, 2011. One of the bomb at Dadar has been found unexploded and the bomb squad is working on that. Out of three. two blasts took place in South Mumbai at Opera House and Zaveri Bazar and another in Dadar. Though nothing is clear about the intensity and planters of the bomb, Home Ministry has confirmed it as a terrorist attack. IED was used to make the bombs. A team of National Security Guards has also left Delhi for Mumbai. Blasts took place when there was huge crowd and rush. Other cities Delhi, Chennai and Bangalore has also been put up on red alert. Though putting on red alert after such an event has taken place is of less use, what India needs is strong information system which can put the cities in high alert before something like this is likely to happen. while the police has appealed to maintain calm int he region. A team of National Investigation Agency has rushed to Mumbai from New Delhi.